You're assured of a warm welcome from the Noyes family, who have owned Lisle Combe Bed and Breakfast since 1929. Overlooking the stunning southern coastline of the Island, it's a haven for wildlife and has easy access to coastal walks for those guests with a lot of energy. Or easily relax in the timeless surroundings of the drawing room. You may be interested to know that in 1929 Lisle Combe was bought by the renowned poet Alfred Noyes, famous for writing 'The Highwayman' and many other poems and works. Alfred, and his second wife Mary Angela, spent many happy summers, with their children, at Lisle Combe. After spending several years in North America, on lecture tours, they returned home to the UK, settling at Lisle Combe in 1949. He enjoyed living and writing about Lisle Combe, swimming daily in Orchard Bay even with failing eyesight, and remained here until his death in June 1958 - one month after writing 'Ballade of the Breaking Shell." He was laid to rest in the Roman Catholic Cemetery in Freshwater. Grandfather to the present owner, Lisle Combe is now a family home and friendly Bed and Breakfast. Lisle Combe was built in 1815 and has been in the Noyes family since 1929, so they can offer you a wealth of knowledge about the house and surrounding area. 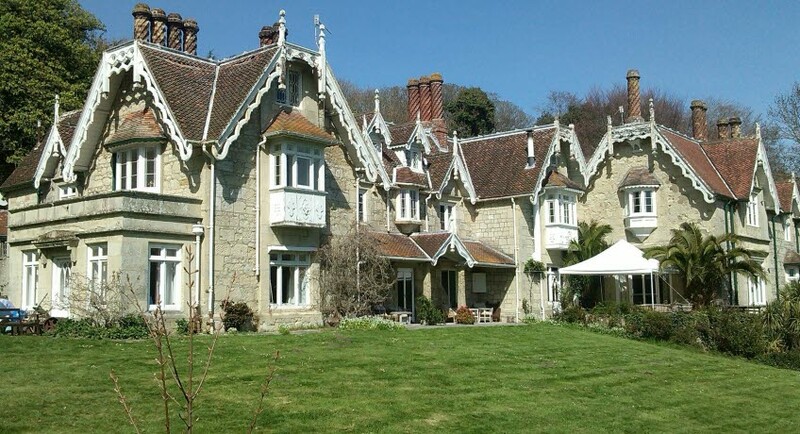 Lisle Combe is located on the southern side of the Isle of Wight and offers you a break away from everyday life. 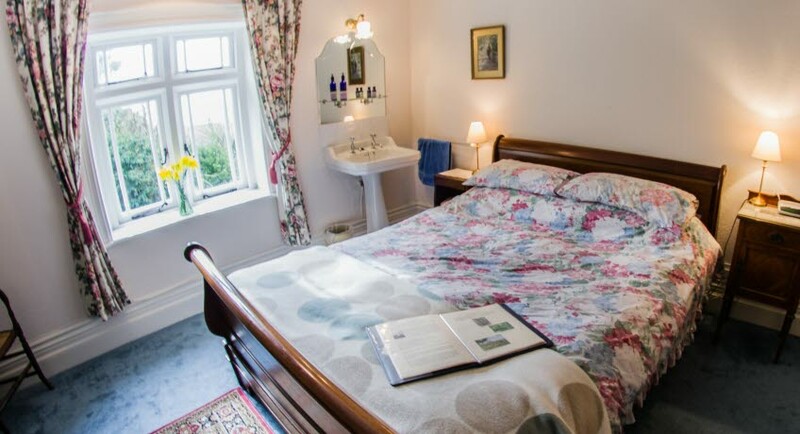 Overlooking the English Channel, this family run bed and breakfast will delight you with its easy access to coastal walks and Herons, Buzzards, Owls and Red Squirrels often seen in the garden. There is a ground floor double en suite with garden view available along with a further double and a twin room upstairs both with private bathrooms and a superb views of the English Channel. TV and DVD player. Radio alarm clock. Tea and Coffee making facilities. Use of iron and ironing board on request. 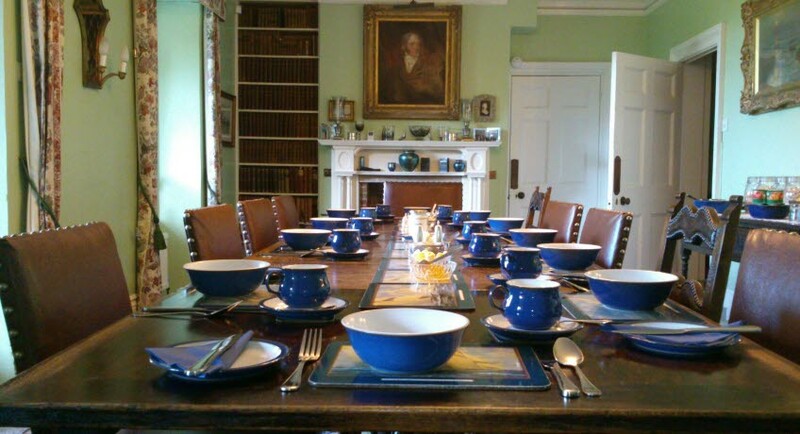 Breakfast is served in the light and airy dining room overlooking the English Channel. The drawing room offers you the chance to unwind and relax in timeless surroundings. Wi-fi. Car parking available. Children of all ages welcome. Pets not accepted as working farm. Open: 1 April - 20 November 2019 | Minimum number of nights: 1, except between 24 May - 4 June & 28 June - 3 September when it's 2 nights. High chair, cot or toddler bed are available if required. Please enter your requirements on the special request section during the booking process.